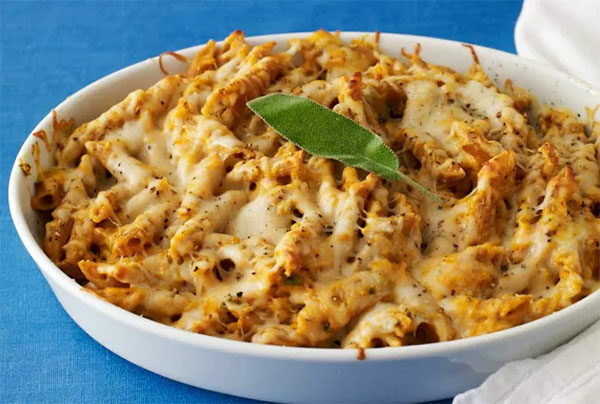 It’s pumpkin instead of tomato for this thanksgiving themed penne bake and trust us it’s delicious. Easy and still tasty after being frozen, this pasta dish will have you wishing it was fall all year round. 1. Preheat oven to 350°F. Lightly coat a 3-quart baking dish with cooking spray. 2. Cook penne according to package directions. 3. In a large bowl, add cooked penne, pumpkin puree, heavy cream, 2 cups mozzarella, sage, salt, and garlic powder; stir to combine. 3. 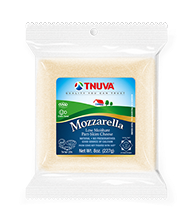 Transfer mixture to baking dish and sprinkle with remaining 1 cup mozzarella.